These paperbacks are all in very good condition. 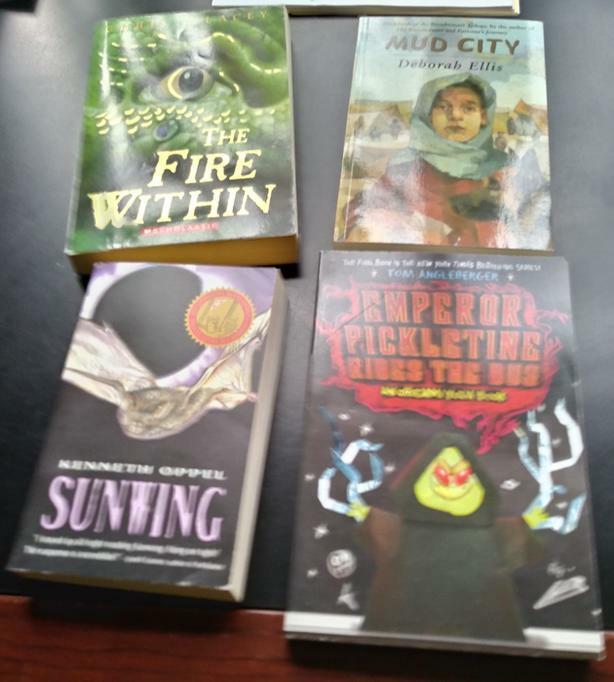 You get Sunwing by Kenneth Oppel ; The Fire Within by Chris D'Lacey ; Mud City by Deborah Ellis and Emperor Pickletine Rides the Bus by Tom Angleberger. Sunwing, Mud City and Emperor Pickletine are all new. The Fire Within is used but very good. Selling all four for $8.